Prevention is better than cure when it comes to animal health – and British producers can now access cutting edge global technology to reduce the need for antibiotics and other medicines. French firm Olmix, which specialises in marine biotechnology and uses algae to improve animal, plant and human health, recently acquired Nottinghamshire-based Micromix, to offer a complete package of animal and plant care. Producers can learn how research into biosolutions is feeding through to practical benefits on farm at the Dairy-Tech show, Stoneleigh, on 6 February, where Olmix and Micromix are exhibiting for the first time. By isolating different active ingredients derived from sustainably sourced algae, the firm can target specific areas of animal health. 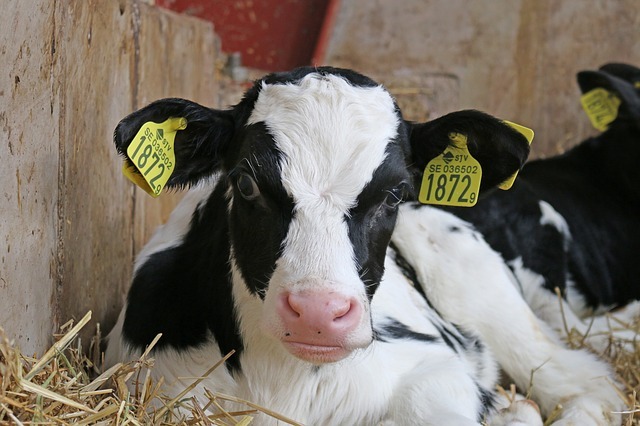 Solutions include Diet – a micronised clay mixed with algal extracts and electrolytes, which both protects against digestive disorders and revives calves suffering from diarrhoea. Other products include MMi.S – which binds a wide range of mycotoxins in feed, thereby preventing mycotoxicosis – and Mistral; a clay-based sanitiser which reduces incidence of mastitis, digital dermatitis and calf infections. But it’s not just about the animal – nutrition is derived from plants, and Olmix offers a truly holistic approach to animal and plant health, with a range of biostimulants and foliar nutrients proven to boost crop yields and quality. Other solutions enable farmers to boost plant resistance to disease, reducing the need for chemical intervention. For more information visit www.olmix.com or visit our stand (I60) at Dairy-Tech.